Classroom routines are the sequences and order that students are asked to follow, be it walking in line through the hall, or answering "present" when their name is called. Established routines run themselves, and are the well-oiled machines that help a classroom function. 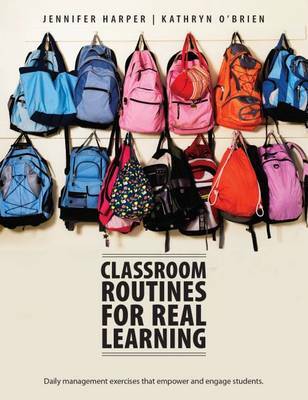 Routines can also provide the groundwork for a learning environment that nourishes student-driven learning. Simple, structured routines can help maximize learning by providing stability, consistency, and time management skills - for both teachers and students. This thoughtful book shows how to use flexible, well-structured routines to build classroom community, foster independent work, differentiate lessons, increase student engagement, and encourage collaboration. The ideal resource to help teachers devote every minute in the school day to effective learning.